Have you left Mother’s Day gifts to last minute? Don’t panic – Here are more incredible gift options to buy for mom right away. Also, check our amazing Mother’s Day beauty guide as well as gifts she’ll actually love here. Mom will feel deep long-lasting nourishment with Paradise Found bath and shower gel. Infused with avocado oil and golden sparkles reminiscent of warm sunlight perfectly blended to nourish and moisturise skin. 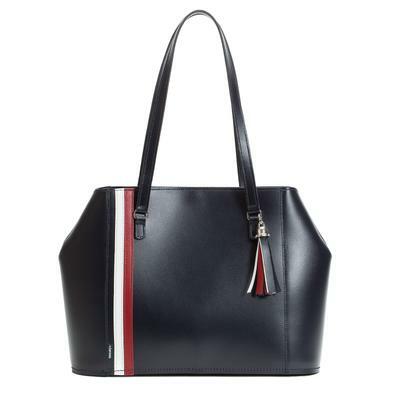 This gorgeous Zatchel leather tote bag is the prefect addition to mom’s wardrobe. Handmade in England from the best quality leather. Crafted with double grab handles, top-stitch detailing and accented by red and white signature stripes as well as charming tassel detail. Mom’s everyday look is complete. Set mom up for the ultimate relaxation with this ESPA candle. Infused with aromatic blend of pure essential oils including; Sandalwood, Rose Geranium, Myrrh as well as Frankincense to help her relax and unwind this Mother’s Day. Is mom battling with spots? – Here’s a magic treatment that works against the causes and effects of acne yet gentle on the skin. Supercharged with a blend of organic plant ingredients which helps to clarify and calm acne-prone skin, leaving it feeling fresh and hydrated. 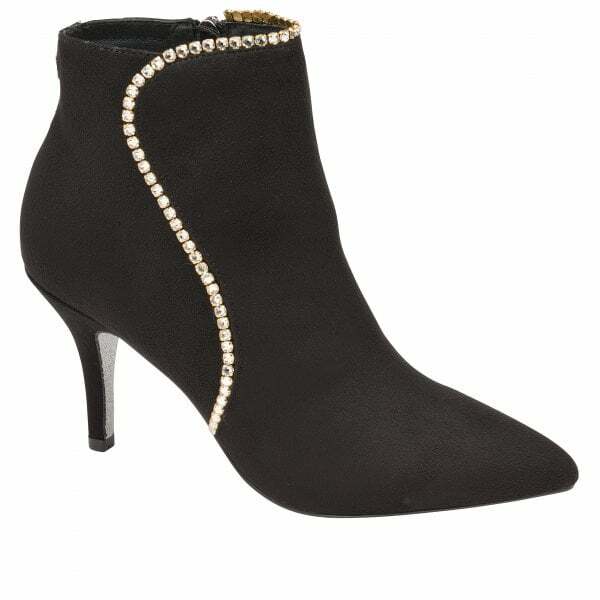 Ravel meets embellished Swarovski in this wardrobe essential. A gorgeous favourite of ours that will take mom from day to night look effortlessly. Featuring a pointed toe and side zip fastening as well a medium stiletto heel. Comfortable as well as chic, perfect gift for mom this Mother’s Day. Introduce mom to this super affordable natural soap. Rich in minerals and vegetable oils. Free of detergents and animal fat. In addition to that, it is filled with the unique minerals of the Dead sea. Malki Dead Sea soap helps to remove dead skin cells and impurities leaving skin fresh and smooth. A brilliant kit for plumping and moulding mom’s complexion. Whatever her skin tone, mom can create a flattering definition with Sculpt and Soften palette by Jecca Blac. Soft on the chin and gentle on the jawline, in addition, this palette helps produce perkier cheekbones as well as a slimmer face. It is also vegan and cruelty free. Mom will be delighted about this rich luxurious shampoo bar by Shine. Shine shampoo bar is not only easy to carry around but also compact and perfect for moms who love to travel. This vegan friendly product is naturally derived and lasts up to 4 times longer than liquid shampoo. If she’s into her beauty regime, and you’re looking for something new. Why not gift mom this Collagem supplement which helps improve elasticity, firmness and hydration of the skin. Supercharged with a blend of antioxidants, vitamins, minerals and plant extracts. 12 active ingredients with proven anti-ageing as well as anti-inflammatory properties.